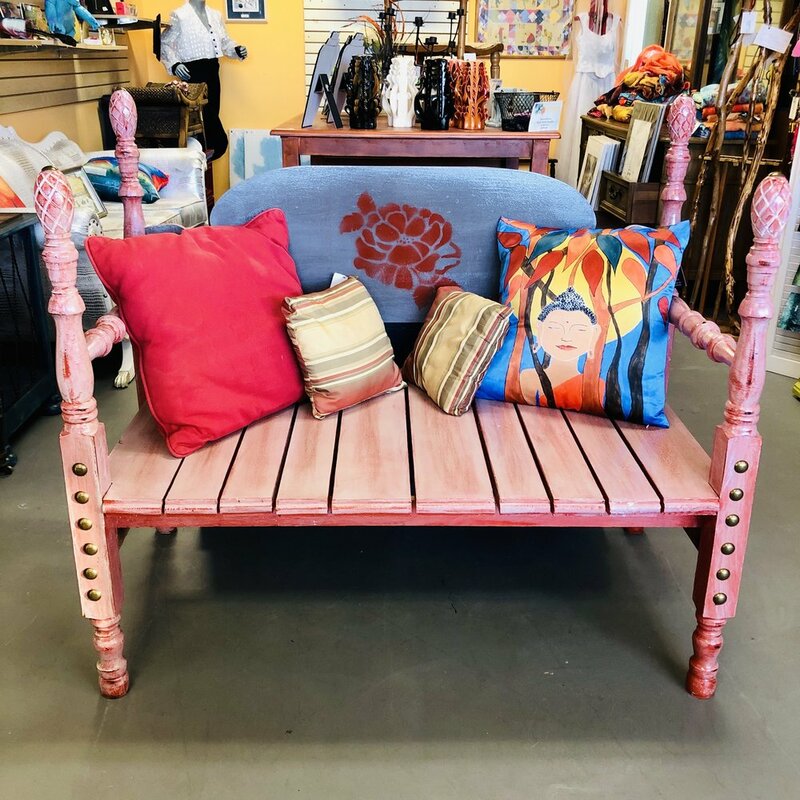 Andee's Thrift Shop is an eclectic marketplace in Orlando, FL where you’ll find local artwork, thrifty treasures, custom-made furniture, antiques, curiosities, and more. We’re a little weird, a little quirky, and we’re definitely not your average thrift shop. Our brand centers itself around Central Florida’s local artists & curators who share our mission to actively inspire and foster beauty in the world. We provide our members a platform to sell their goods and services, along with a place to collaborate and network with other creative minds. Our store is constantly growing and changing, so you never know what you might find inside. Click here to learn about consignment. Now shipping nationwide. Shop now. https://t.co/tg2votmMSZ, Thank you for the Follow!! Heather (aka H. Gorlitz Scott) is an artist and award-winning author, and also happens to be our next #FeaturedArtist. Save 10% on her products until April 20th in store and online. We’re always looking for talented new artists & creators to join our collective. Take our questionnaire to get started! Save 10% on products from H. this month with our #FeaturedArtistDeal! Shop in store, or use promo code FEATURED during checkout online. 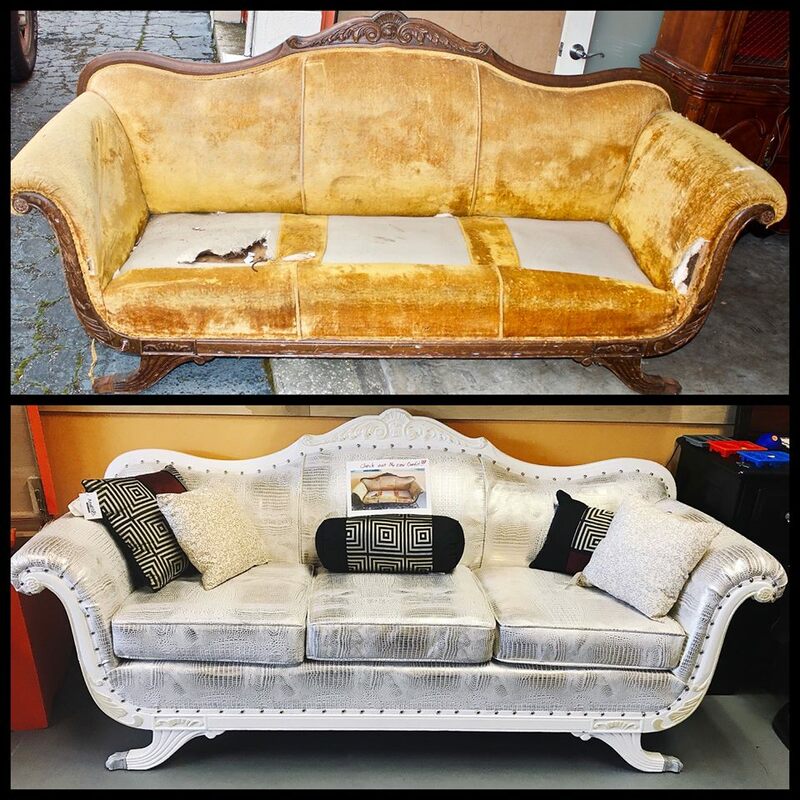 We create custom furniture, repurpose, refinish, and reupholster. Bring us one of your pieces, or upgrade one of ours. 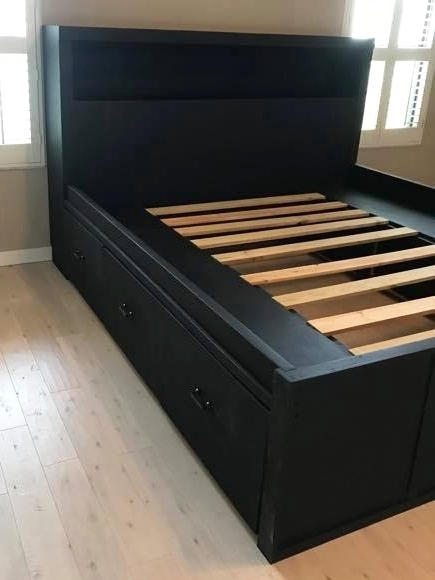 We believe everyone deserves access to quality furniture, and with our built-to-budget option, we’ll create the perfect piece for you (and your wallet). 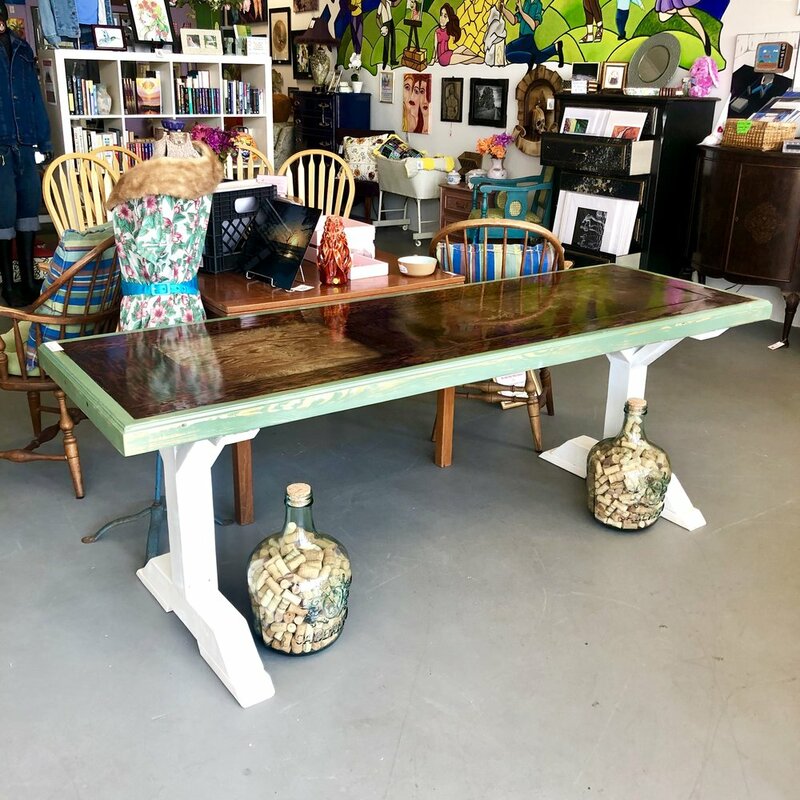 We gave this dining table a fabulous makeover with a little paint and a clear coat. 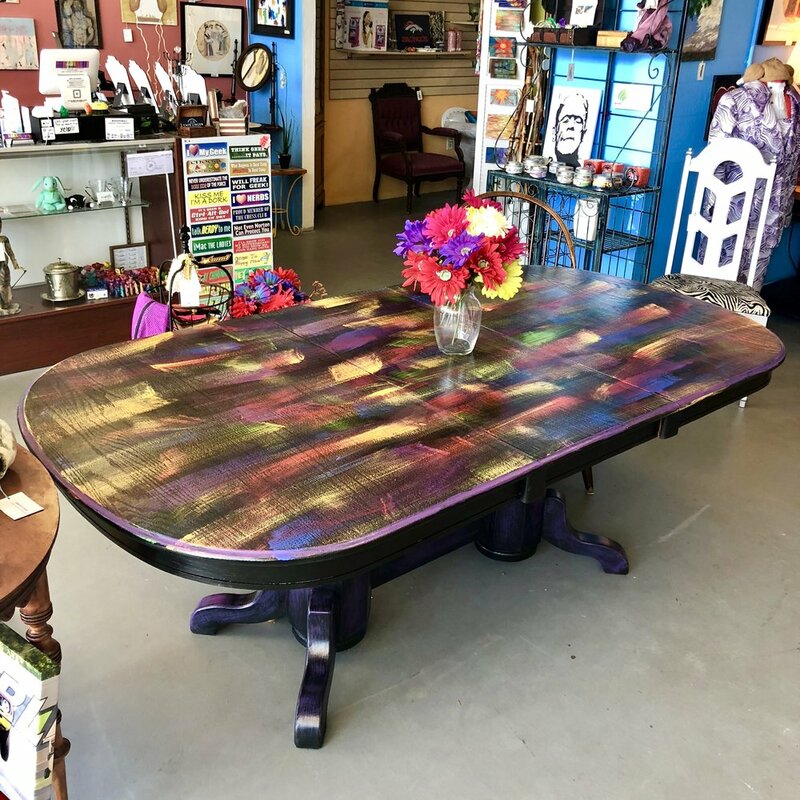 Top view of the kaleidoscope dining table. A side view of the vertical garden table we built for Cafe Linger! 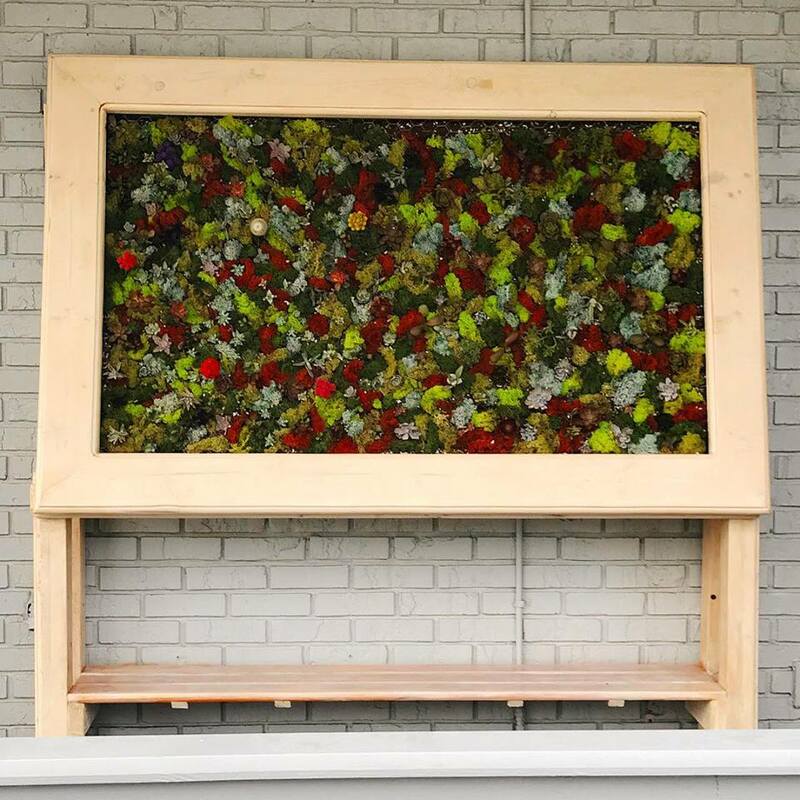 The vertical garden table we built for Cafe Linger! 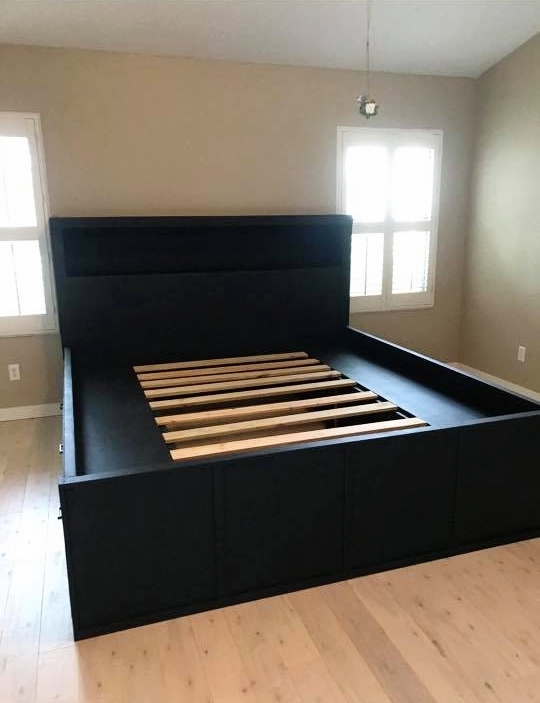 This king-size bed was built to our customer’s specifications, and was delivered and assembled in their home. We can build one for you, too! 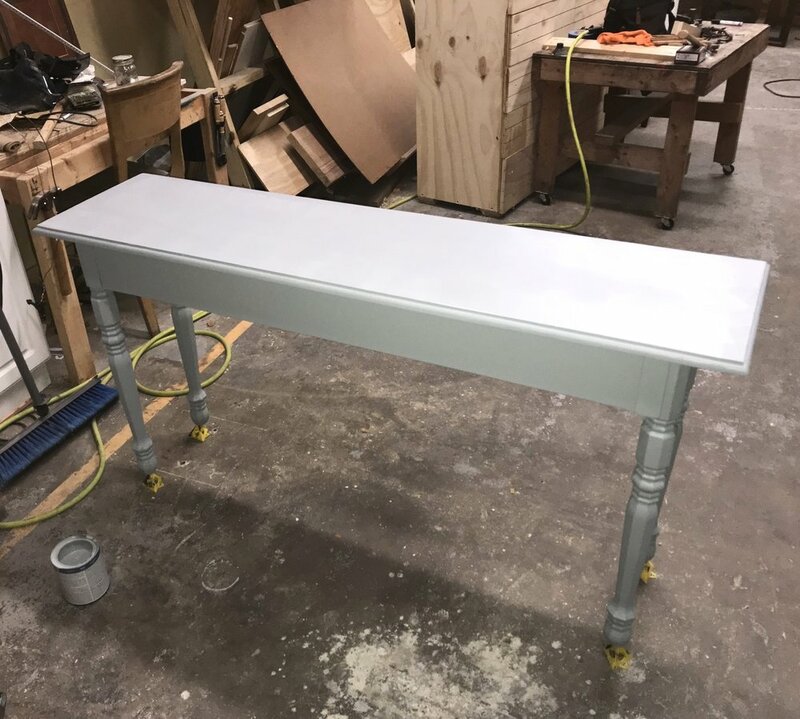 A custom built desk in blue and orange, designed and built especially for one of our customers. What can we build for you? A custom built library table we made for one of our customers. What can we create for you? A custom-built bathroom cabinet we made for one of our customers. What can we create for you? A wicker drawer unit transformed from drab to fab with a blowtorch and little paint. This classy little bench was a headboard and a footboard in another life. What can we create for you? This classy little bench was a headboard and footboard in another life. What can we create for you? 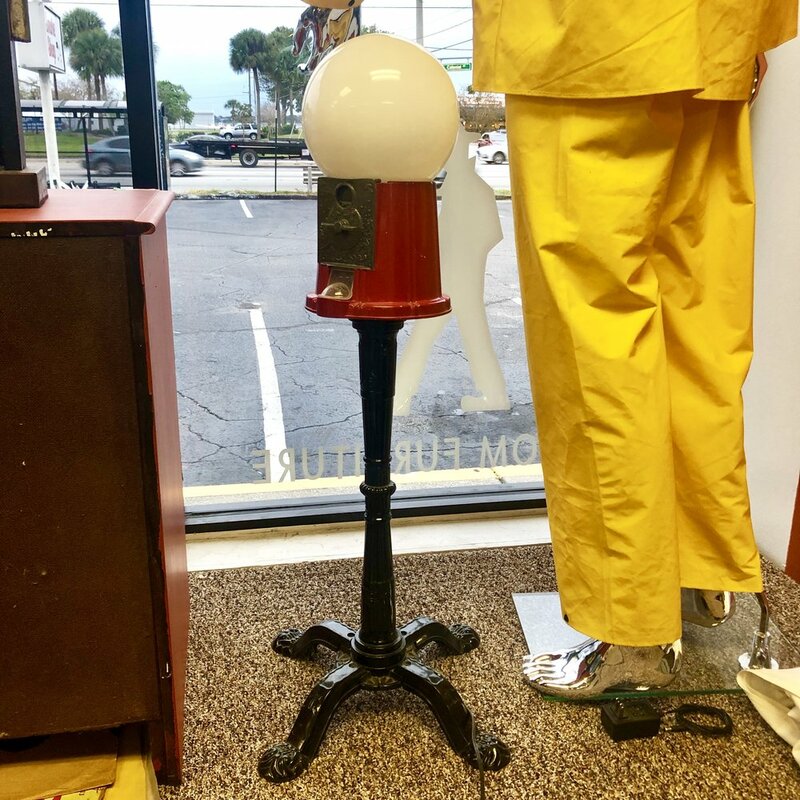 A lamp made from a repurposed gumball machine. 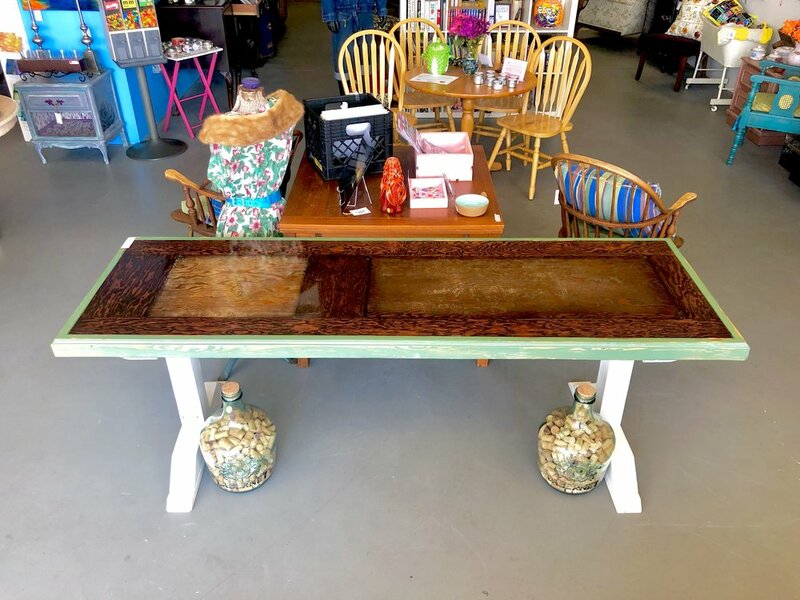 A custom built table made from a reclaimed door covered with epoxy. A close-up of our custom built table made from a reclaimed door covered with epoxy.